"Weekend guests at the home of Mrs. Harold Horner were her daughter and son-in-law the William Varitzes and her daughter Cosette of Seattle," The News reported. "Mrs. Joe Guttredge and her son Allan, Keith Cooper and Roberta Mitchell attended the Youth-Adult conference at Camp Menucha from Friday afternoon until Sunday afternoon. Wilma Guttredge reports a rewarding experience." "just across the bridge" on Highway 211. At Horner's Food King Market, Cheerios were 78 cents a box, Ritz Crackers were 79 cents and pork steak was $1.08 per pound. R. L. Barber wrote a letter to the editor criticizing newspaper editor Ray Horn for failing to include information about the person leading an Estacada Chamber of Commerce project in a recent article. "How can people wishing to contribute to the project get information and direction if they don't know who is in charge?" Barber wrote. "If the local newspaper does not know the facts, which you obviously do not, what kind of united and progressive image are you creating for our community, the one you live and work in too?" Horn replied, "Why not just tell us what our error was and drop all of the baggage about how terrible, dishonest, ect., you think we are. Do you really believe we try to write fiction for news?" 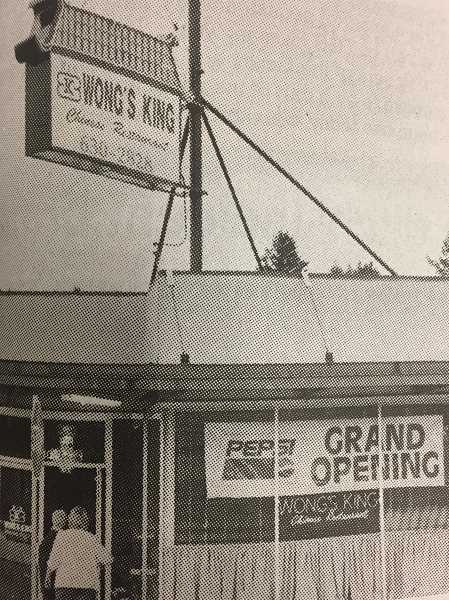 Wong's King Restaurant had recently opened its doors in Estacada. The new establishment on Broadway Street was owned by Andy Wong, who owned another Wong's King Restaurant in Sandy. The new Estacada location had recently held an open house with free food, which several hundred people attended. "If people don't know how good my food is, they won't come eat," said Fu Wong, Andy's son and the restaurant's manager. Asher Bufton-Gildford, a 6-year-old Estacada resident, wrote a letter to the editor about the city's newest park. "I like the Wade Creek playground," Bufton-Gildford wrote. "My favorite play part is the rock climbing. It is so fun! Thank you for building it." The upcoming "Our Family" concert, composed and directed by Estacada native Alexandra Czyzewicz, would include a variety of musical genres and was divided into songs based on family members, such as mother, father, brother and sister. The show also featured home videos and interviews with community members about what family means to them. Several family members shared the stage during the production — one song featured Ken Riedel singing with his sons Henry on drums and Andrew on violin. Additionally, to showcase a second kind of community, another song featured Kari Hulsey's fifth-grade class at Clackamas River Elementary School. Czyzewicz said one of her goals when composing "Our Family" was to create "a mutual connection (for people) beyond music." "We all have those different people," she continued. "They're not necessarily blood related, but they're a support system."